The Association was established in April 1985 at the Communal House of Lagymanyos. Istvan Kelemen /that time 2nd dan master/ became the first president. He participated this founding session as the leader of the Madách street dojo. He specifies those clubs participated this session on the page 40 of his book entitled as Bo-jitsu and issued in 1986. Among those founders, beside him, there are four persons, which are active and still member of the Association: László Killer, István Ónodi, Csaba Tóth and László Berkes. There are another three clubs also have been operating since then, but their club-leaders are different: Salgótarján, Hódmezővásárhely and Debrecen DRSE. The close relationship with WJJKO (World Ju Jitsu Kobudo Organization) naturally resulted, that our Association have been the member of this World Organization since the very beginning, just like of JJIF (Ju Jitsu International Federation), which is very important for us, as this ju jitsu organization have AGFIS/SportAccord membership and its each country has and can have only one member of organization. 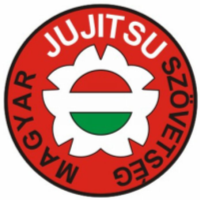 Therefore the Hungarian Ju Jitsu Association is the only ju jitsu link toward AGFIS/SportAccord in Hungary. Among the others, as a consequence of this fact, our Association will be the founder member of the some-day-in-the-future-to-be-established Professional Association, without us it can not be done. Our Association has been the member of ju jitsu section of IBA (International Budo Academy) since 2007. The leader of this section is soke István Kelemen. Today our Association have 30 clubs, where roughly 700 people are training in a regular basis. On our website you can find the accessibilities of all our clubs. If you would like to join us, we will help you and you are welcome! We have been keen on keeping the high technical level of education in our trainings since the foundation. The actual dojo leaders are following the road paved by the founder, soke István Kelemen. Our Association have shown unity for almost 30 years and consistently represented the mentality and practice of Budo and Ju Jitsu. The one joining us will find itself in loyal community with noble purpose and challenging way, walking on which one can get to know better itself, as well.